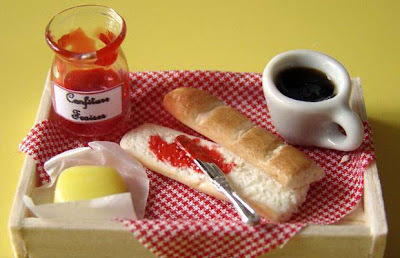 Continental breakfast: croissants with butter and jam, and a black coffee. 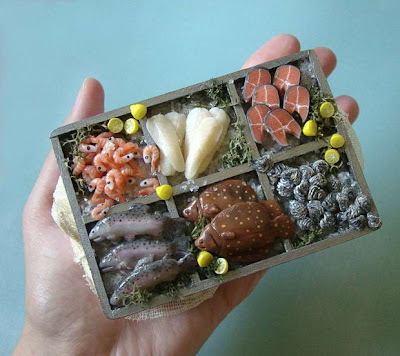 French artist Stephanie Kilgast, 24, creates miniature food models that are 1:12th of their original scale. A platter of fresh fish. 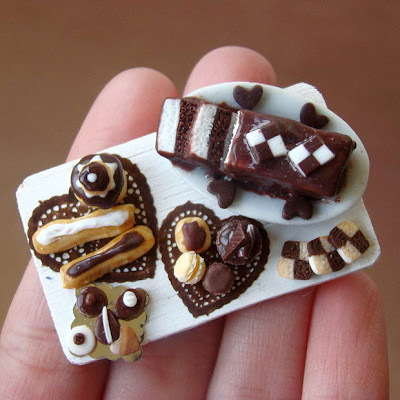 Using scalpels, blades, art knives and toothpicks to mould her polymer clay creations, each one takes Stephanie up to three hours to create. Chocolate eclairs, profiteroles and fancy cakes. Detailing the artwork using simple acrylic paints, Stephanie uses a magnifying glass to help her with the intricate design. 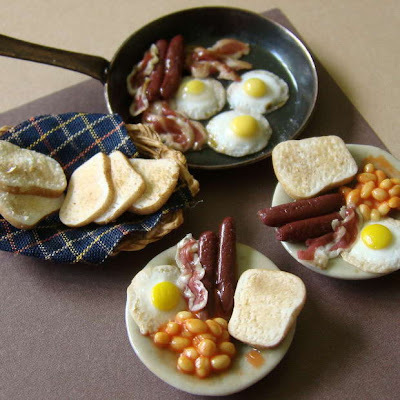 A fried English breakfast: eggs, bacon, sausages, baked beans and plenty of toast. 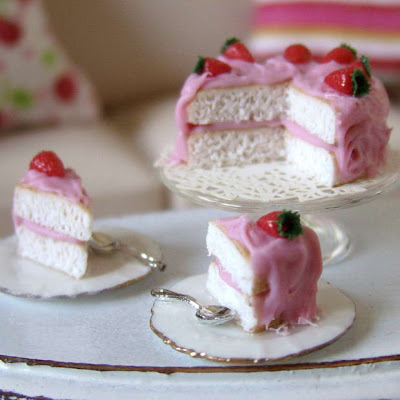 Beginning her miniature food artwork in 2007, Stephanie estimates that she has produced up to 600 examples of cakes, pastries, meats and meals. 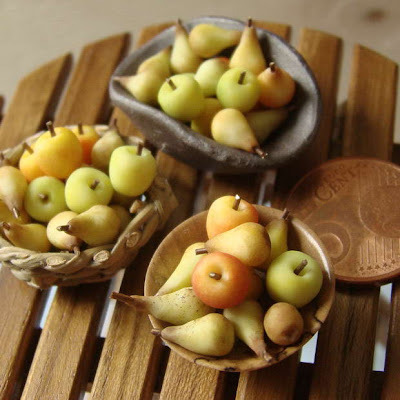 Baskets of pears, pictured next to a 5 cent coin for scale. 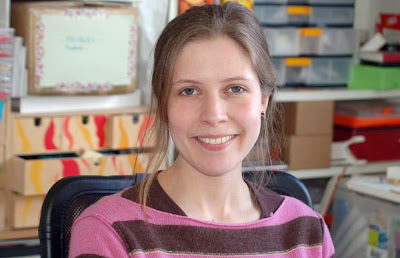 Selling them online for up to £50, Stephanie sells her artwork to doll's house enthusiasts. A platter of meats and tomatoes. 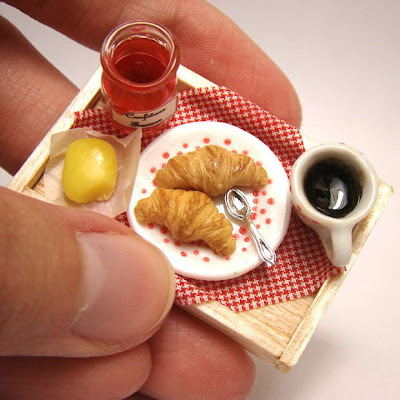 "I didn't begin this art with any specific aim," said Stephanie who lives in Senlis, In France, "I just wanted to explore the world of miniature art and it became food. It slowly became an addiction and since I didn't want to keep the things for myself I just started to sell it." 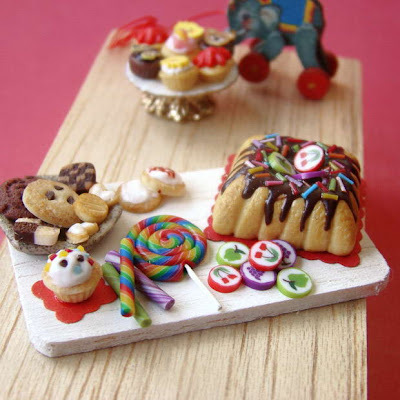 Children's cakes, sweets and biscuits. 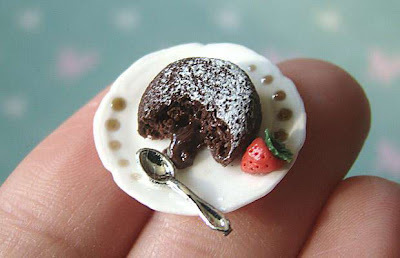 Stephanie started working on her miniature food as a way to release her boredom during her summer holiday from university. 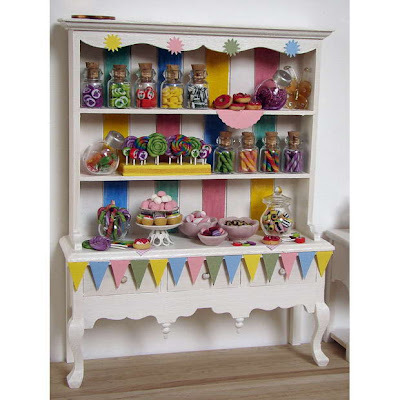 Shelves of sweets and cakes. "If I am making a small wooden cabinet and filling that with the food that could take a very long time, but on average the breakfast plates and meat plates take around two to three hours." Explained Stephanie. 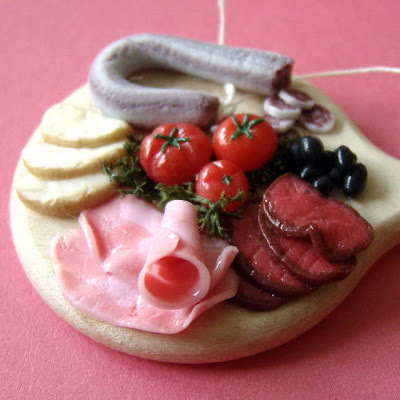 Stephanie has now started to turn her food art into amusing jewellery by adding clasps and hooks to make them earrings and brooches. 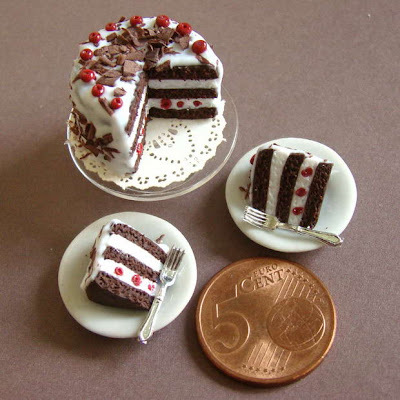 A layered chocolate cake, next to a coin for scale. A jam sandwich and coffee. Stephanie pictured in her studio in Senlis, France.